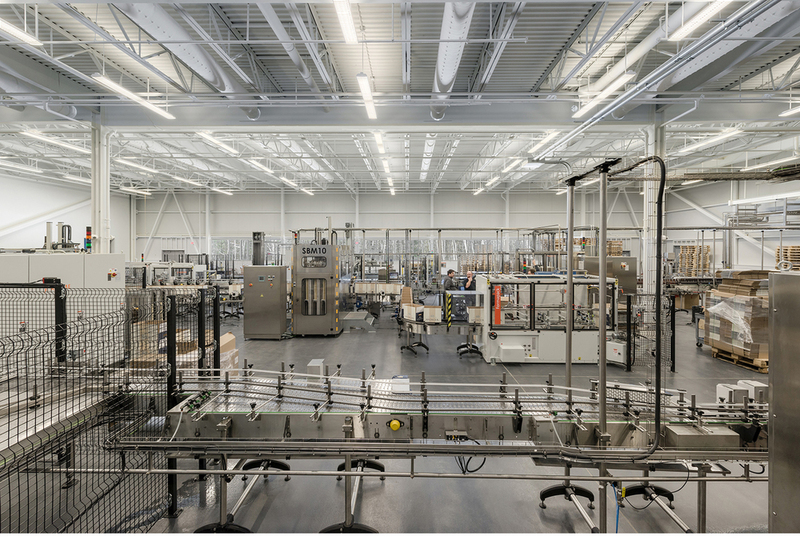 structure houses state-of-the-art equipment with demanding MEP requirements for the brew process. It was designed with future expansion capabilities to accommodate projected sales for the next 50 years. 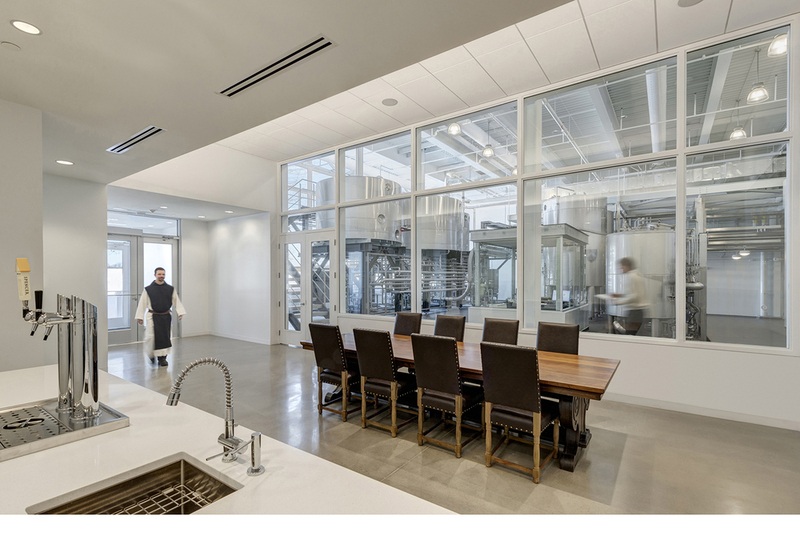 The brewery’s massing takes its cues from the linear structures surrounding the monastic cloister, while the interior layout is governed by the sequential workings of the brew process. A long and narrow storm-water management pond enhances the landscape and reinforces the linear typology of the monastic complex, while serving as a threshold to the brewery. 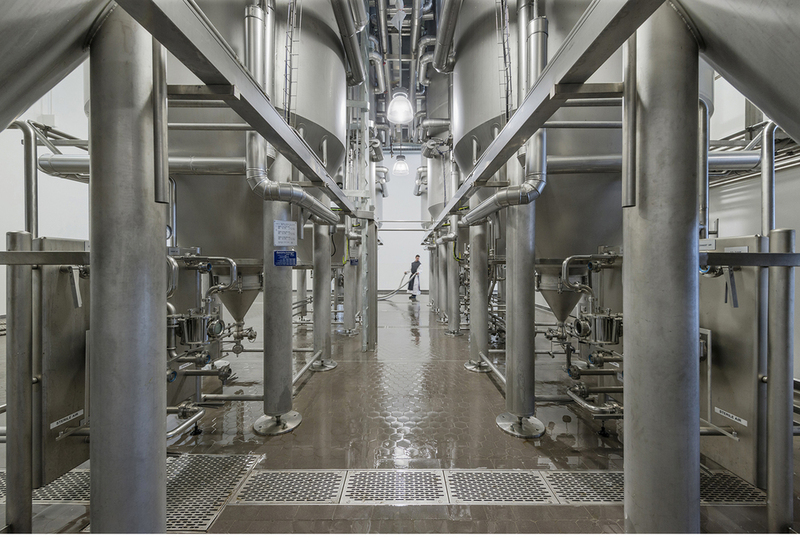 The brew process necessitated complex MEP and civil engineering requirements that consumed much of the construction budget. Therefore, the most basic of contemporary building materials were utilized in an understated manner, similar to the deliberate minimalism inherent in medieval Trappist architecture. 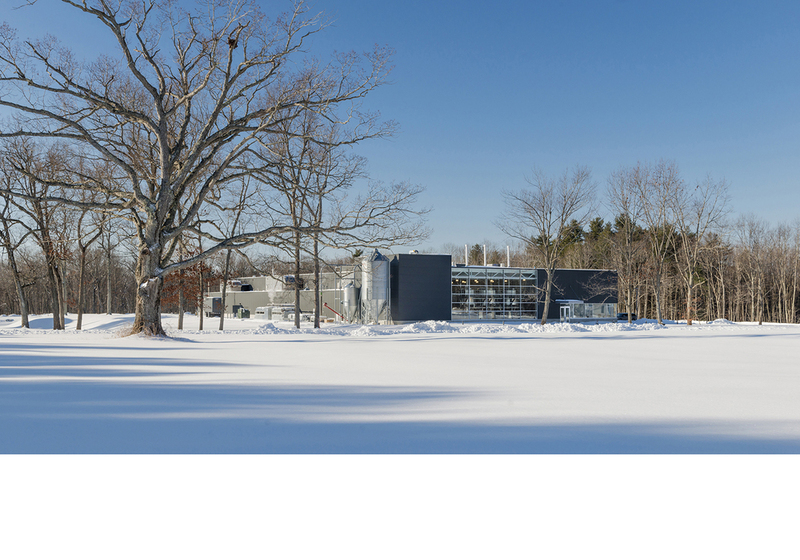 The metal panel walls have a corrugated profile, a reference to the industrial vernacular, but the choice of color - a charcoal grey reduces the perceived scale of the building, ceding to the surrounding landscape. 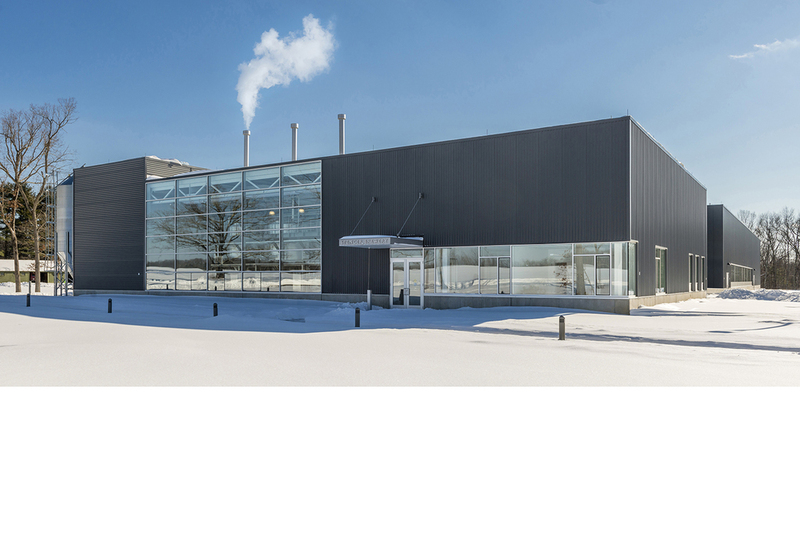 Within the building, a neutral material and color palette distills the exposed structure, ducts, piping and materials to their essence, while showcasing the stainless steel tanks and kettles. framed views. This intentional connection to the rural landscape, along with the simple massing and use of elementary building materials, attempts to foster an inner stillness within the individual monk as he goes about his daily work.